It's our first look at this Far East-exclusive tiny runabout. We literally see dozens – if not hundreds – of sedan and SUV spy shots each week. That’s partly why this little Nissan Dayz microcar is so refreshing. It’s also just freaking adorable in an endearing, love-it-hug-it sort-of way. 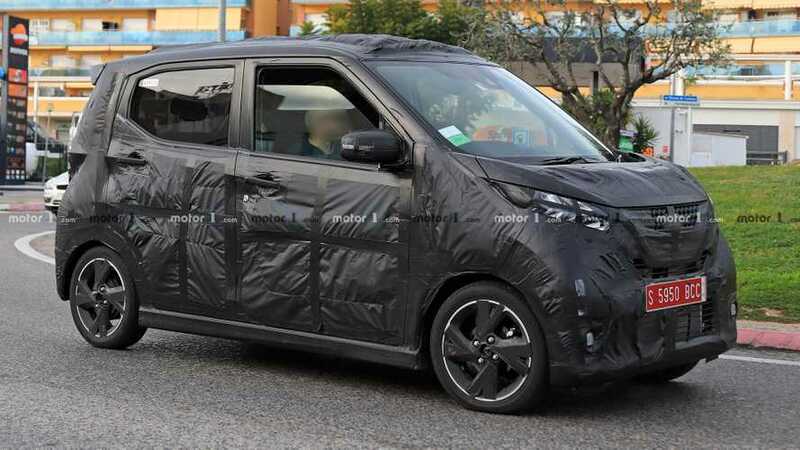 It should also be noted this is the very first sighting of the next-generation Dayz, which along with most Japanese-produced microcars will stay in the Japanese and Far East market. Ironically, this sighting occurred not in Japan, but in Spain where such a machine might not be quite as recognizable. 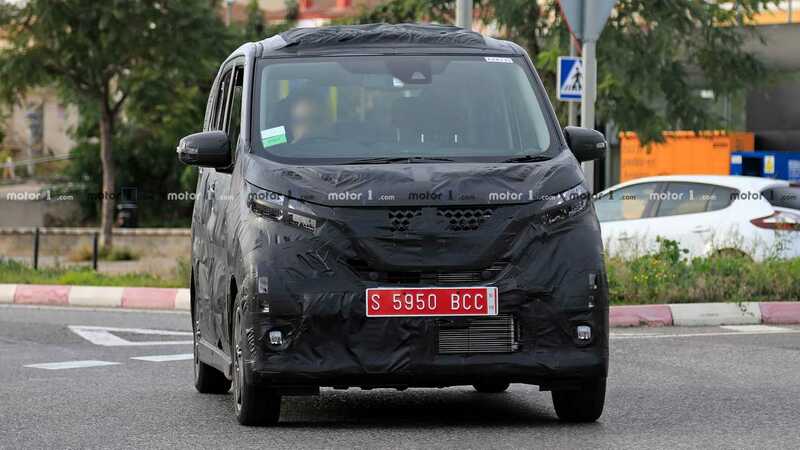 Our spy photographer wasn’t fooled, and despite the very heavy coverings over the car, we can easily identify Nissan’s modern-day corporate face with the big grille up front. Details to other design changes are harder to spot, but the overall shape – including the angled side glass at the back – should be very familiar to fans of the current model. Being a microcar there isn’t much room for change, literally and figuratively. The current model is just 11.5 feet (3.4 meters) long and 5.3 feet (1.62 meters) wide, so it doesn’t take up much real estate. The new Dayz should check in very close to those stats, but being nearly as tall as it is wide, the interior should still be reasonably roomy for four adults. Other interior updates aren’t known at this time. Power should come from a small-displacement three-cylinder gasoline engine making upwards of 55 horsepower (41 kilowatts). The Dayz likely won’t win any stoplight contests-of-speed with that mill, but with only 1,850 pounds (840 kilograms) to contend with it should offer adequate power. It will deliver that power either to the front wheels, or an optional all-wheel-drive system. Expect pricing to be around €8,000, which translates to roughly $9,100 U.S. greenbacks. A reveal sometime later next year is likely.